It's the challenge every environmentalist faces at some point or another: how can I continue to reduce my impact on the planet while I'm travelling? The good news is that is fairly easy to keep up your good work while on the road, and in some cases it's cheaper and healthier, too! This can be a real challenge, especially in areas that don't have safe drinking water available from the tap. It's necessary to prioritise your health, but you may still be able to find alternatives to buying single-use plastic water bottles. 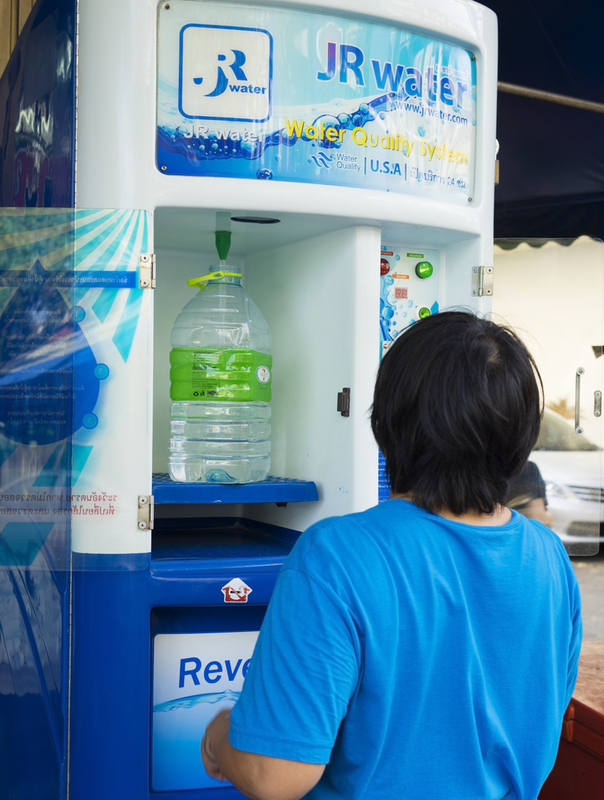 A good option is carrying a reusable water bottle with you and filling it up at every safe source of water you find, such as at hotels or hostels where there is a water filter, or from a drinking water vending machine, such as those found throughout Thailand. For around 1 baht (that's about 39 cents in Australian money), you can refill a 1L bottle with safe, clean water. It's necessary for conscious travellers to learn some particular vocabulary in order to communicate their needs effectively. For example, when travelling to Italy, get in the habit of saying "Non ho bisogno, grazie" ("I don't need, thank you") when offered a plastic bag at a shop in order to make this request politely. 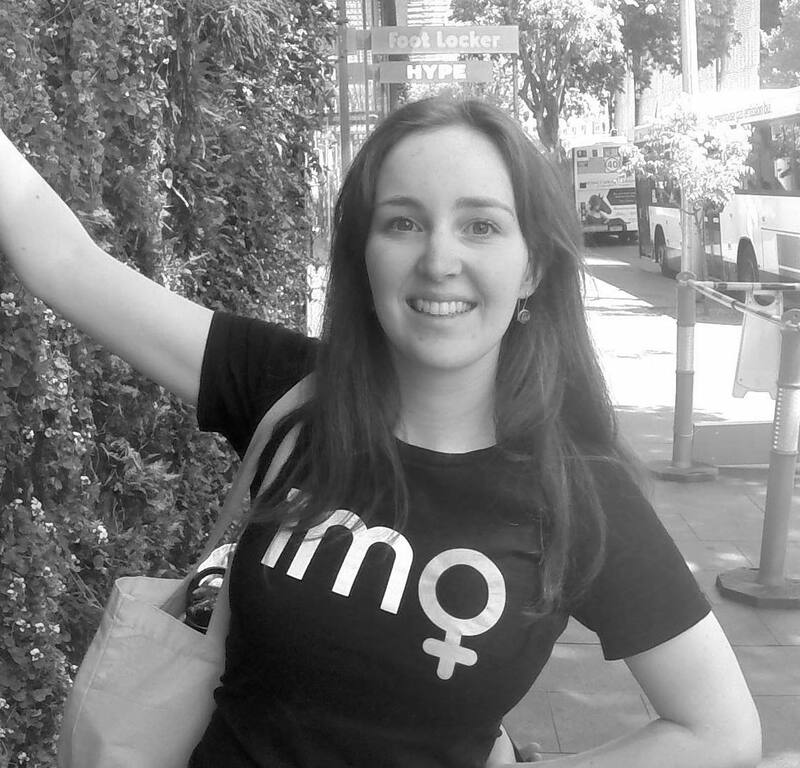 When it doubt, give a smile and say "no", shaking your head or gesturing as politely as you can. Generally people are fairly accommodating if you make it clear that you don't mean to inconvenience or offend, but as always be respectful that things are often done quite differently in other parts of the world to what you are used to. 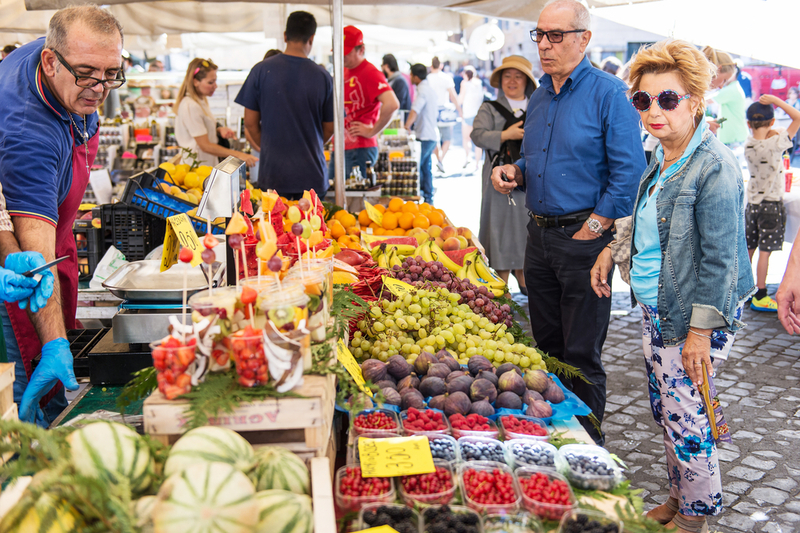 Even if you're not usually a vegetarian, picking veggies over meat and seafood can be a useful way to avoid food poisoning in your first few days in a new country, especially if you're eating street food! According to Vegetarians International, those who opt for a plant-based diet can have up to 95% less risk of becoming sick from food poisoning as those who eat meat and dairy. On top of this, Dr. Fiona Reillypoints to these common sources of food poisoning when it comes to eating overseas (especially when eating street food): chicken, minced meat, seafood, unpasteurised milk and uncooked vegetables. So next time you head to the Bangkok markets, give the chicken skewers a miss and go for stir-fried vegetables with hot noodles (the heat kills any bacteria that could have passed to the raw ingredients) and enjoy the crunch of flame-grilled corn on the cob. Read more about eating safe while travelling here. This can be tricky when caught up in the joy of travel. Perhaps you're offered a ride on an elephant, or offered a tiger cub to pose with for a photo. Maybe your guide tells you that it's ok to leave your rubbish along the path of your rainforest trek. Sadly, many of the practices we see around the world (including in our own countries) that are convenient for tourists are at the expense of the health of our environment. No matter where in the world you are, whenever you're interacting with nature, take a moment to think about whether this is an ethical activity that you wish to support. According to a study by the University of Oxford's Wildlife Conservation Research Unit, commissioned by World Animal Protection, wildlife entertainment activities such as "walking with lions, holding sea turtles, touring civet cat coffee plantations, charming snakes and kissing cobras; and visiting sites such as bear parks, crocodile farms, aquariums with performing dolphins and zoos with dancing monkeys" are cruel and "barbaric" practices that fly in the face of conservation efforts. "To make an elephant submit to people riding on its back, they go through a process called the crush, to break it in so it submits to humans." This is my mantra when travelling, and a reminder that we are no less responsible for the planet when we're on holiday. Wherever you go, be sure to clean up any mess that you've made including litter, holes dug while camping, food scraps etc. Also be sure not to take anything away from the environment that is important for that local biosphere, for example seashells, eggs and (god forbid) animals. Take a look at these links below to be a more planet-conscious traveller!